What a wonderful gathering of people! For the past 34 years VICS volunteers, and ‘honorary VICS’ have gathered for a Good Friday Fast, being inspired by guest speakers and celebrating the Stations of the Cross and the Good Friday Service together. This year, between 30 and 40 people gathered throughout the day. All VICS gatherings start with introductions!! …which leads to guest speakers. This year, we were fortunate to have two guest speakers: John Dillon who shared his thoughts, wisdom and research on “Indigenous Wisdom: Living in Harmony with Mother Earth” and Karen Van Loon who led us through the blanket exercise, a participatory exercise that shows the history of First Nations in Canada. 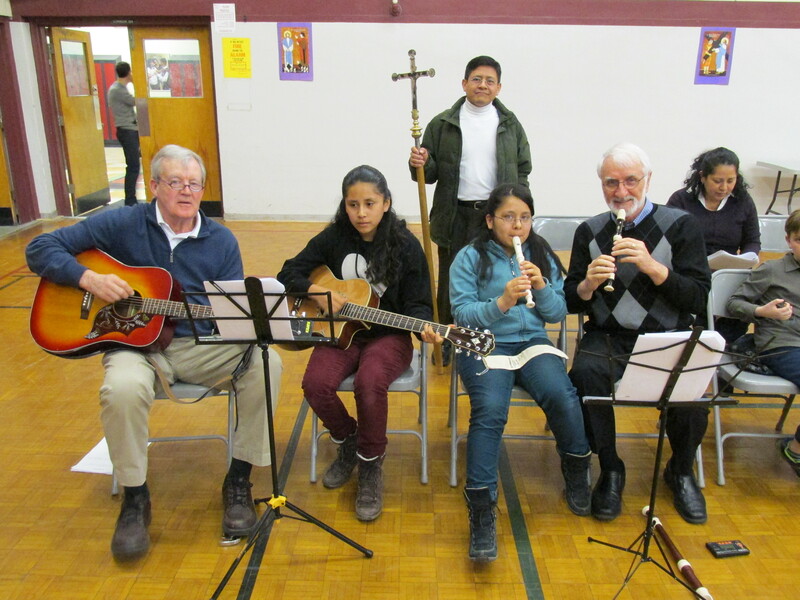 The Stations of the Cross and Service were held in the school. Special thanks to Father Fitzpatrick for once again leading the service.